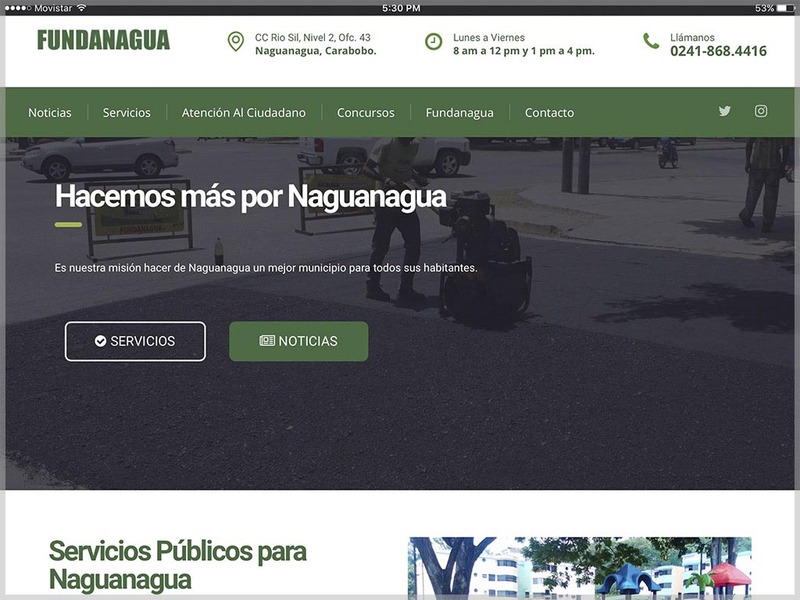 Fundanagua is a governmental organization of the municipality of Naguanagua whose objective is to carry out activities of ornamentation and cleaning in its jurisdiction. In order to carry out its functions, it needed a web where citizens could obtain the information they were looking for and where they could interact with their suppliers. The solution, made in WordPress, includes a blog that reports the activities of the institution, areas of content of special information and a section of events to report on the bidding processes that are ongoing.